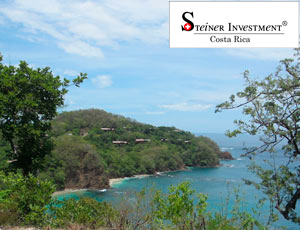 Papagayo Peninsula is located about 20 min from the international airport of Liberia, Guanacaste, Costa Rica. It has been declared by the government as touristic resort area in Bahía Culebra and is spread over 2’000 hectares from Playa Cabuyal to Playa Hermosa. The development is called Polo de Desarrollo Turístico de Golfo de Papagayo. It includes pristine forests, 21 beaches and is an ideal place for water sports. The prestigious Four Seasons Hotel in Peninsula Papagayo opened its doors in 2004 and helped to further attract investment. Later the Hyatt hotel chain opened the Hotel Andaz Peninsula Papagayo with more than 150 rooms and suites. 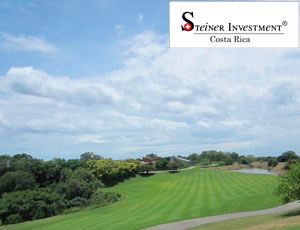 The exclusive resort area includes one of the best golf courses (Arnold Palmer Signature Golf Courses). There is a Tennis club (Peter Burwash International 'PBI' Tennis Center) with about five tennis courts for residents and hotel guests. There is a member's beach club called 'Playa Prieta', it is an exclusive place to relax. The club house is the perfect place to get together after a session of golf or a tennis workout. It's splendid architecture, designed by Ronald Zurcher, creates a warm ambience with nice views on Bahía Culebra. At Marina de Papagayo you will find a shop and restaurant. Resort guests can rent a yacht or go sports fishing etc. from here. The marina has 180 full-service slips and a floating fuel dock. On the way to the Marina one passes by the Hotel Allegro Papagayo which is an all-inclusive resort and belongs to the Occidental gruop. 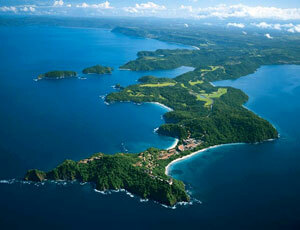 Peninsula Papagayo is the most exclusive resort and residential area of the country embedded in a unique panorama. 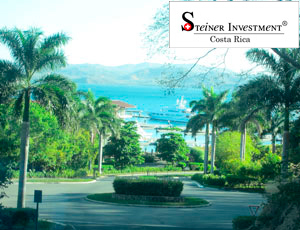 There are various residential zones on the peninsula such as Las Terrazas, Prieta Estates, Four Seasons Villas etc. Being home owner in Papagayo Peninsula gives you access to all the exclusive facilities of this integrated resort. 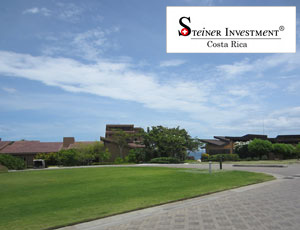 Our Steiner Investment team is happy to show you properies in Peninsula Papagayo be it homes or land plots. Staying at the Four Seasons Hotel, you have access to the beaches on both sides of the peninsula due to its unique location. Eat patacones and drink some cocktails with friends at Marina Papagayo restaurant. All year round warm weather – breathtaking landscape and all comfort you need.